Michelle is a 27 year old woman who presents for dietary education for PCOS. 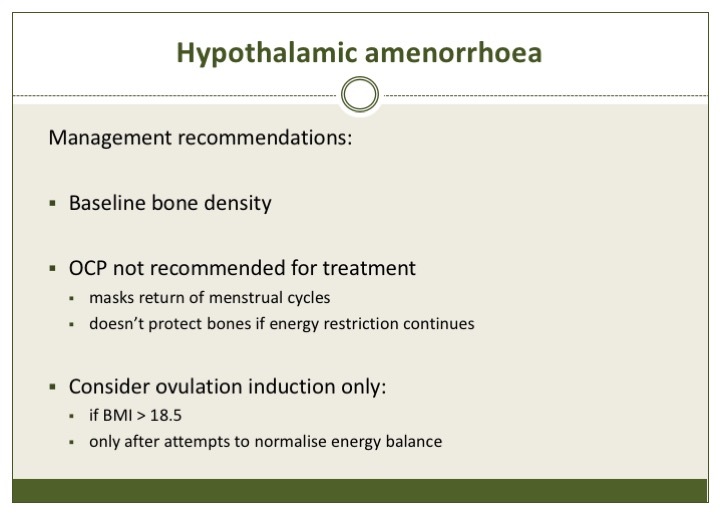 She had a number of symptoms consistent with a diagnosis of PCOS (irregular periods, PCO on ultrasound and difficulties trying to conceive) but her history was otherwise not reflective of PCOS. She was mainly seeking help due to difficulties trying to conceive and had been undergoing fertility treatment with no success. 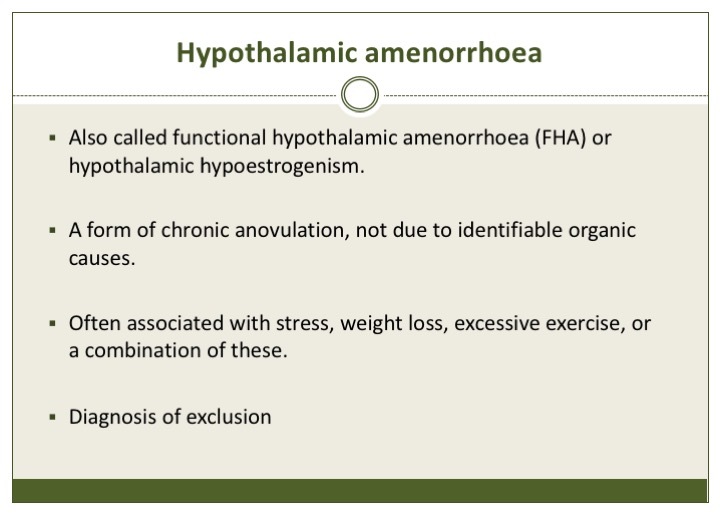 This case study discusses what hypothalamic amenorrhoea is, how it is distinguished from PCOS, how the treatment and dietary recommendations differ from PCOS and why it is important for dietitians working with women with PCOS to be aware of condition. It also has a very happy ending!